Every winter in Connecticut, families that love snowy recreation encounter a scenario that leaves many parents with questions and feeling a bit uneasy. As snow piles up (natural or manmade), parents take their children out for skiing, snowboarding, sledding or snow tubing adventures. While the parents are paying for admissions at a ski area or winter adventure park, the facility requires them to sign a waiver. It’s a standardized form, parents have no opportunity to make changes, and signing is a condition of entry. Because of the lack of alternatives, the parents sign the waiver and go about their day. For many parents, the fun is dampened by nagging questions: What if something happens? What if, through no fault of any family members, an injury occurs while skiing, snowboarding or tubing? Winter recreation injuries can be significant, and the medical expenses associated with treatment become substantial. The exact language of the waiver suddenly becomes vital to parents’ ability to recover for their loss. Recreational facility operators with ski slopes and tubing areas almost universally use waivers to protect themselves from liability associated with injuries that occur on their premises. Often, the provisions of these waivers explicitly state that the patron shall indemnify and hold the company harmless for injuries arising from “risks inherent to the activity.” In some instances, the waiver itself will attempt to provide its own definition of what constitutes “inherent risk,” regardless of what the law or common sense might say to the contrary. Even without an explicit waiver, those injured as a result of skiing accidents face an additional hurdle to recovery. 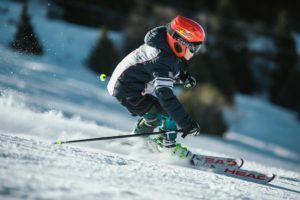 Connecticut provides statutory protection for injuries arising out of inherent risks of skiing codified at Conn. Gen. Stat. §29-212. Pursuant to that statute, ski slopes are protected from an enumerated list of particularized risks. It is important to note that the statute does not relate to the activity of snow tubing. Importantly, when the injury falls within the protections provided by a waiver or statute, some injured parties are left holding the bill. So, what options are available to an injured person after they or a parent or legal guardian have signed a waiver releasing the recreational facility operator from liability? 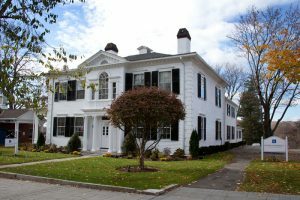 The Connecticut Supreme Court has addressed this issue and identified three factors that determine the outcome of an injured person’s claim. The Courts first look to the type of activity the injured party was participating in when the injury occurred. Clearly defining this activity frames the question of what risks are inherent to said activity. While the risks inherent to scuba diving differ greatly as compared to those associated with sky diving, winter recreational activities often pose more nuanced distinctions. It follows that the risks associated with tubing can differ in important ways as compared to those associated with skiing or snowboarding. Equipment maintenance, means of individual control, and lack of adequate instruction all can contribute to different inherent risks between otherwise similar activities. Establishing this activity properly from the beginning of litigation is crucial to effectively advocating for an injured party. Furthermore, as mentioned above, certain activities receive additional protections, such as skiing. Next, the Courts will look at the facts surrounding the injury itself. Where did the injury occur? What direct involvement did the facility have? Was there any way in which the facility could have prevented or controlled the injury? In Jagger v. Mohawk Mountain Ski Area, Inc., 269 Conn. 672, 692 (2004), the Connecticut Supreme Court distinguished the difference between the inherent risks of skiing and those arising from the recreational facility’s negligence. This distinction is important because waivers cannot protect a recreational facility from its own negligent acts. In that decision, the Court identified that injuries stemming from actions within the control of the recreational facility constitute negligence. Therefore, in those circumstances, a waiver will not release the facility from liability. By way of example, an injury arising from frostbite is an inherent risk to skiing, whereas an injury arising out of inadequate warning or instruction is not. Determining the specific manner in which the injury occurred can be the difference between having your day in court and never making it through the front door. Finally, the Court looks to the language included in the waiver. The Court has determined that as a matter of public policy, recreational facilities operators cannot contract around their own future acts of negligence. (Hanks v. Powder Ridge Restaurant Corp., 276 Conn. 314 (2005). Waivers with provisions which broadly state that the patron assumes the risk for all injuries that occur on the premises, or for injuries arising out of the negligent acts of the facility, are routinely determined invalid and unenforceable. In an attempt to circumvent these provisions, some waivers seemingly limit the exculpatory provisions to “inherent risk,” but go on to define inherent risks in a manner that includes the facility’s negligence. Courts have found waivers containing such definitions unenforceable, however, in those instances litigation is necessary. While waivers can prevent an injured person from recovering in certain circumstances, it is by no means a complete bar to legal action. Often, waivers are valuable to a recreational facility not because they lawfully prevent litigation, but because people believe they do and therefore never pursue their claims. Finding an experienced attorney who regularly litigates against recreational facility operators early on in the litigation process will greatly assist in navigating the initial hurdles presented by waivers. Work with your attorney to describe the specific activity you were participating in, clearly express the exact manner of your injury, and review the language used in the waiver in order maximize your likelihood of a favorable recovery. If you or someone you know is injured at a ski area, contact one of Cramer & Anderson’s highly experienced Personal Injury attorneys for a consultation on available rights and remedies.